Hello Kansas - Steve Swanson Realtor, hello Real Estate Network when moving to Kansas. Redmond Homes and Condos My Goal ... is to help you achieve yours. Planning a move to Kansas? Here are some trustworthy Kansas Real Estate Agents that can help you in your move. When you contact me, we will conduct a short interview to help match you to the appropriate agent. If you decide to contact a Realtor directly, please mention my name so that you will be supported from both ends of your move to your new home. Here are some friendly and experienced Real Estate Agents that can help you find your new home in Kansas. If the Kansas community where you are moving is not yet on my agent referral list, please contact Steve Swanson and I will search our internal data base and network with our Realtor contacts in Kansas to find you the right Kansas Real Estate Agent in the area of your relocation to Kansas. Here are some friendly and experienced Kansas Real Estate Agents that can help you find your new Kansas home. State Motto - "To the stars through difficulties"
Steven L Swanson is a Managing Broker affiliated with Coldwell Banker Danforth, Inc and a Realtor©. 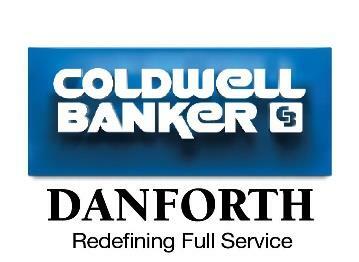 Coldwell Banker® is a licensed trademark of Coldwell Banker Real Estate Corporation. Each Office is Independently Owned and Operated. Fair & Equal Housing Opportunity. A REALTOR® is a real estate professional who is a member of the National Association of REALTORS ®.